Golovkin, whose resume includes a record 20 consecutive middleweight title defenses (18 by way of knockout), has consistently drawn packed houses to the five previous events he has headlined at The Garden, dating back to 2013. He will rumble with undefeated Top-10 contender and Kronk Gym alumnus STEVE ROLLS (19-0, 10 KOs), from Toronto, Canada, in a battle, scheduled for 12 rounds, at a maximum weight of 164 lbs. 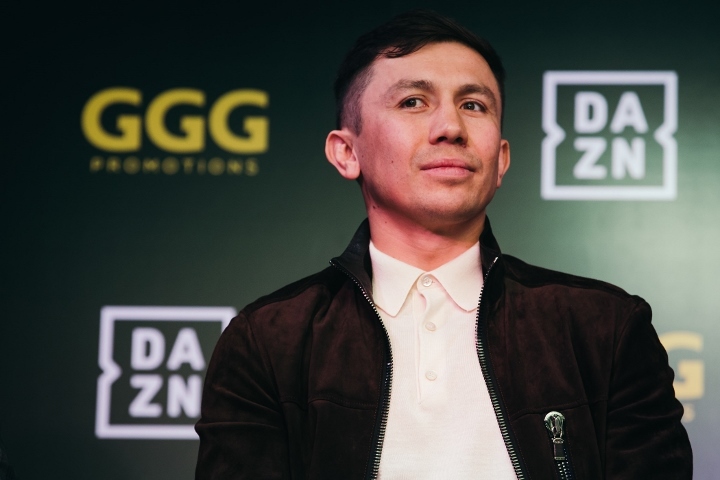 Golovkin vs. Rolls kicks off the exclusive six-fight, three-year global partnership between GGG Promotions and DAZN, the world’s fastest-growing sports streaming platform. Golovkin, 37, has reigned supreme in the Middleweight Division for nearly a decade. Eighteen of his record 20 title defenses came by way of knockout — a 90% ratio — which is sure to remain the division’s highest knockout percentage for a world champion. Golovkin’s tenure as champion ended when he lost a hotly disputed majority decision in a rematch with Canelo Alvarez last September. A dominant amateur standout and Olympic Silver Medalist before turning professional in 2006, Golovkin’s career has been on a historic trajectory, including a 23-fight victory-by-knockout streak and unifying the WBC, WBA, IBF and IBO World Middleweight Titles. Golovkin has also proven himself to be box office gold. He has sold out the most iconic arenas of the world, including Madison Square Garden, T-Mobile Arena, O2 Arena, The Fabulous Forum, and StubHub Center.